Thousands of years ago, Newell’s Paddock most likely formed part of the wide river banks of the Maribrynong River (which were up to 1.5km wide). Aboriginal people have lived in the Maribyrnong River valley for at least 40,000 years and probably far longer. The City of Maribyrnong was built largely on the traditional lands of the Marin-balluk clan of the Woi Wurrung language group, one of the five language groups of the Kulin Nation. The Wurundjeri tribe of the Kulin Nation is recognised as the traditional custodians of this land. * The river flats near Newell’s Paddock were valuable areas for gathering food and “an early explorer” – name(?) recorded Aboriginal middens on the banks of the Maribyrong River in Footscray. 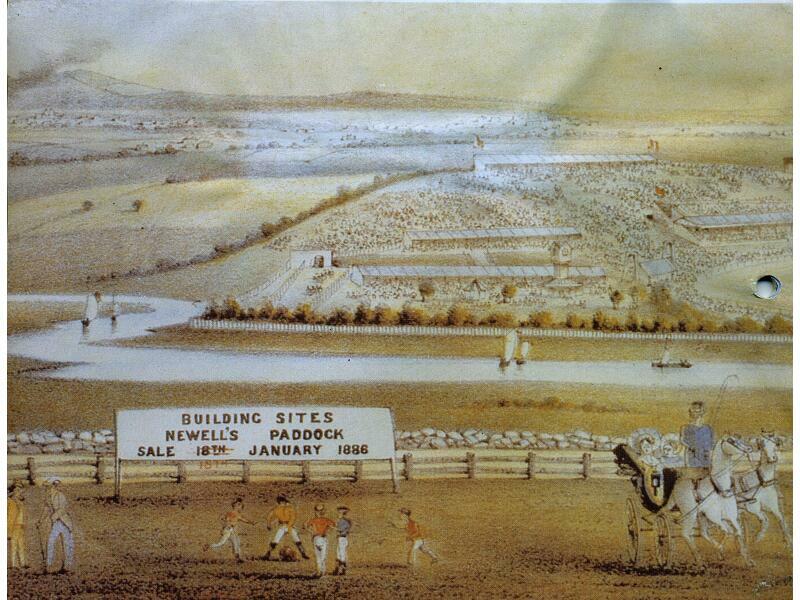 European settlement in Maribyrnong in the 1830s had a massive impact on Aboriginal people. Traditional lands were taken over by settlers and graziers. Aboriginal people began moving back into Kulin territories from missions and government reserves in the early years of the twentieth century, particularly in the 1920’s and 1930’s. They worked in the large industries that were established in Maribyrnong including the Angliss Meatworks and the railways. See more information here. 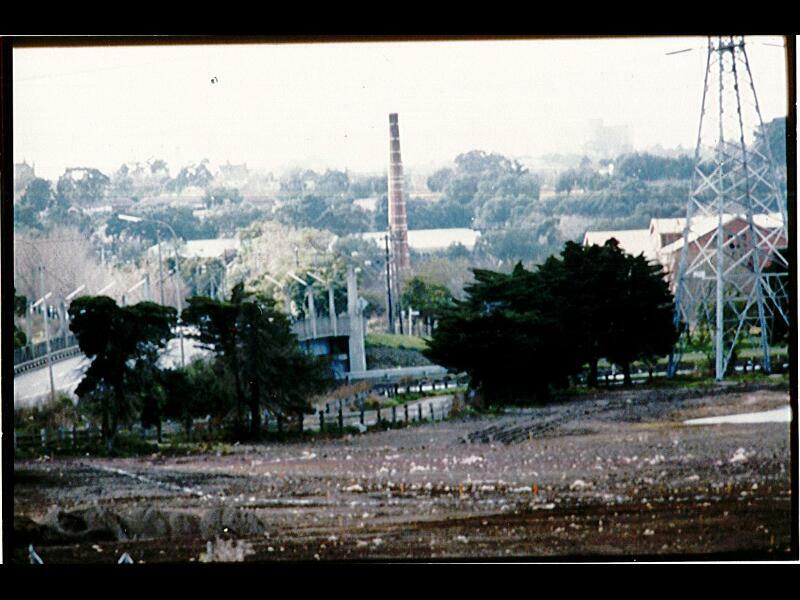 Newell’s Paddock was used as a holding yard for cattle and sheep from Newmarket Saleyards for the Abattoir owned by William Angliss. The Stockbridge over the Maribyrnong River (east end of the park) is a “tangible reminder of the vast Angliss complex. The Stockbridge was built in 1941 so that stock purchased from the Newmarket Saleyards could be driven across the bridge to Newells paddock rather than along the public road. The materials for the bridge came from a footbridge that had spanned the Yarra River at Punt Road from 1899 to 1938”. See the Maribyrnong River Heritage Trail pamphlet for more information. There was also a rail link into the Angliss Meatworks, called Angliss siding which can be seen in early photographs/maps. Angliss’s Siding was opened in 1905, and closed in 1970. The land has been restored to contain the natural waterholes that existed here before white settlement and it is now preserved as a natural wetlands park. Landscape architect Dr. Jill Orr-Young did the initial landscape design in 1988. Friends of Newell’s Paddock was formed in 2014.